Youth | Row America Rye | Come Join Us! Youth programs are for all Middle School and High School students ages 12 to 18. Our middle school programs are designed to get youth on the water quickly, and prepare them for the next step. Sessions will include instruction on the fundamentals of rowing, taught at an age-appropriate pace. 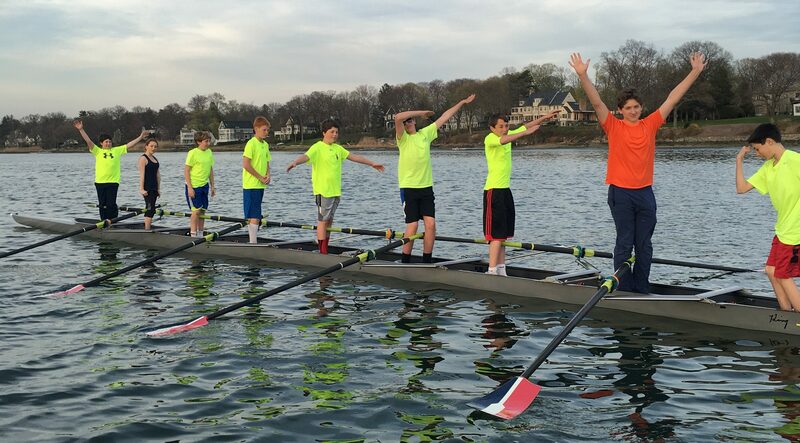 RowAmerica Rye’s coaching staff fosters a fun, energetic, and enthusiastic atmosphere for all levels of fitness and ability. Enjoy the benefits of rowing while staying indoors during the winter months with our winter training programs. Sessions will include indoor training, using rowing machines, body weight and resistance exercises designed to build strength and stamina. Train with us to improve technique, and stay fit for the winter! Enter the challenging and competitive world of youth racing! RowAmerica Rye’s goal for Racing Team athletes is to prepare each rower for local, regional, and national competition. Athletes will expand their mental and physical toughness by participating in daily practices designed to develop self-discipline, and the ability to achieve the highest level of fitness in sport. RowAmerica’s youth programs have been nationally recognized as exceptional programs for youth development. Athletes entering their first year of competition should register for the Novice Racing Team, and experienced rowers should register for the Racing Team. Teams will travel to both spring and fall regattas which may be local, regional or national (for those boats that qualify). In addition to the stated practice times, athletes will be expected to be available to load/unload the boat trailer, both before and after regatta days. All Racing Team athletes are strongly encouraged to participate in year-round programming to maintain fitness and continually improve technique, speed and skill. Those wishing to pursue other sports during the winter or summer (non-racing) seasons should speak with the Head Coach directly. RowAmerica Rye’s summer sessions are a fun, yet intensive, introduction to small-boat rowing. Offered on consecutive days, sessions can be combined for a great summer experience to work on technique, and maintain fitness. 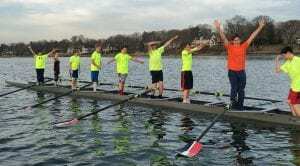 Both experienced youth and those new to the sport of rowing will benefit from the extended practice sessions, and additional time on the water. Challenge your fitness with endurance and interval training, and gain the experience needed to qualify for the fall Racing Team, or just come join us for a great summer activity!